BODE SUD S.p.A. 1991 by Gebr. 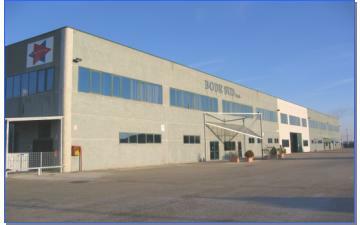 Bode & C. GmbH – headquarters in Kassel (Germany) – and Italian partners. The initial share capital was one billion lira (516.457 Euros). The main activity was the production of sliding side doors systems, therefore the Atessa industrial area was chosen as corporate headquarters. From 1999 to 2004 the German partner withdrew and the share capital was increased to one million euro. At the same time the design, the testing and the production of automatic doors as well as access ramps for buses and coaches was launched.